Canopies for leading construction training board. The Construction Industry Training Board, the leading training board for the UK Construction industry, required four tall canopies to protect apprentices from the inclement weather while honing their constructions skills. The canopies needed to be of suitable height to allow plant access. The structures will allow the students to fabricate scale versions of some of the most iconic buildings in the UK while being protected from the weather – here we can see a smaller version of the Gherkin being built. 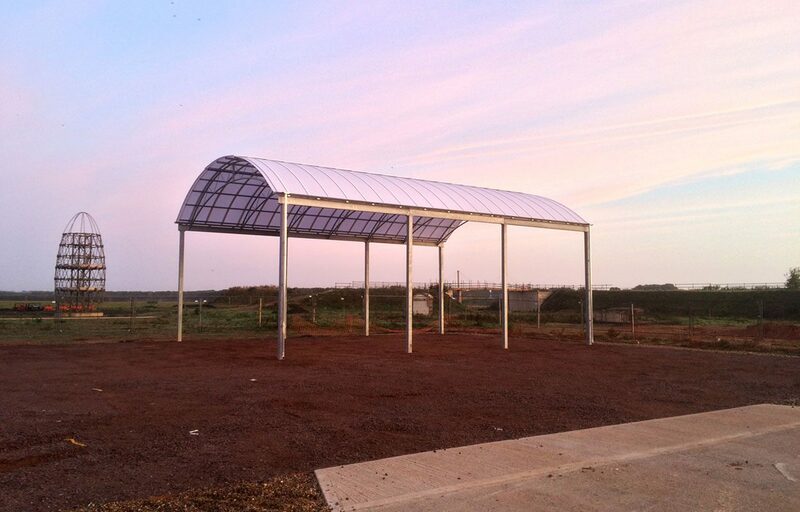 The galvanized steel frames are finished with a robust triple walled polycarbonate roofing solution. 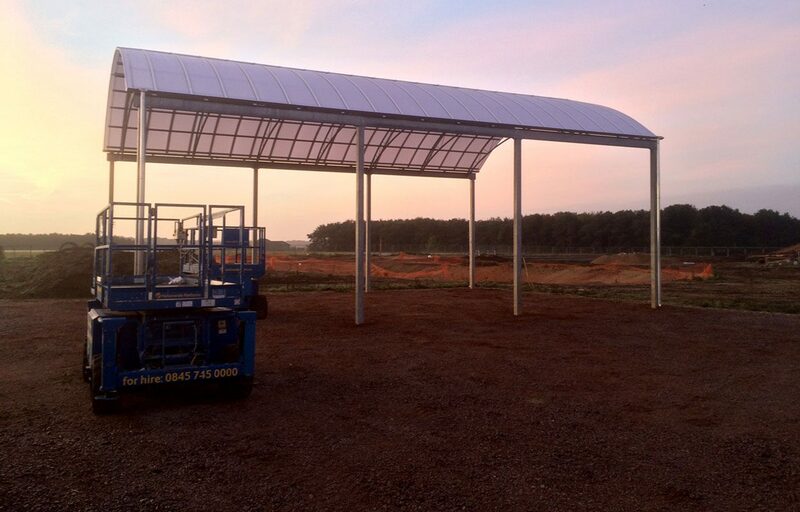 This combination of components is perfect to ensure the longevity of the canopy structures.